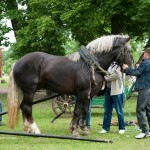 The large, solidly built Lithuanian Heavy Draught is an equine breed of draft horses developed about a few centuries ago in Lithuania. 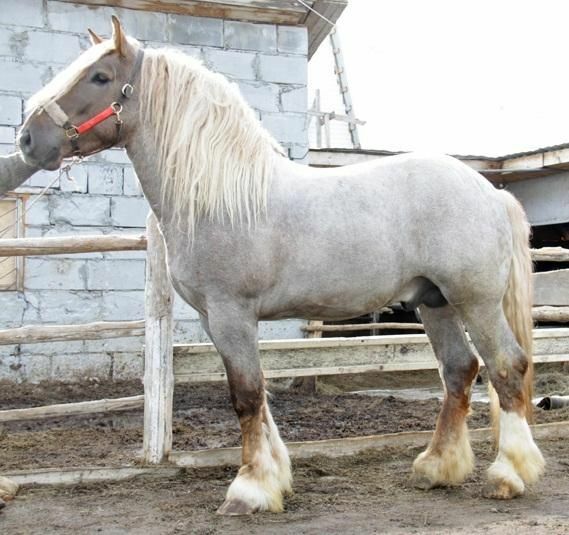 As their name suggests, they are primarily bred for farm and draft works. 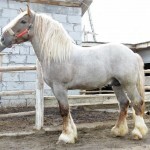 The breed, comprising nine lines, is now developed at Sudav, Zhagar, and Nyamun studs, as well as breeding units of state farms. 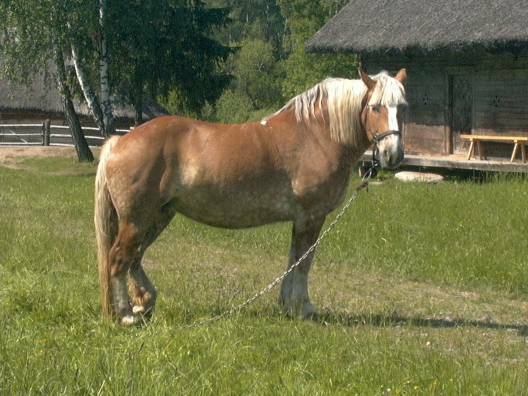 The Lithuanian Heavy Draft horse was first developed in the late 19th century, as a cross between the native Zhmud mares and imported heavy breeds. 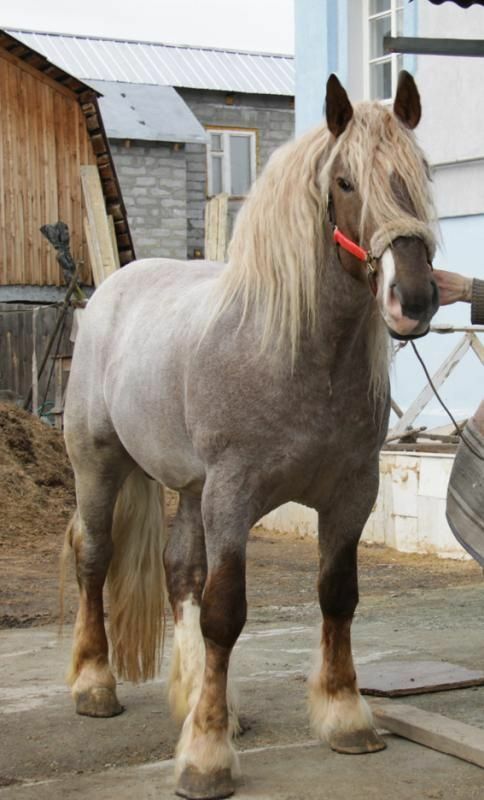 This breeding program was supervised by the Lithuanian Society for Breeding Work and Driving Horses that was founded in 1894. After the First World War, their numbers declined considerably. 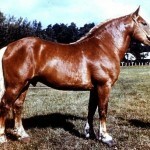 Therefore, new heavy horses were brought from the Netherlands and Sweden in 1923 and 1925 respectively in order to re-establish the Lithuanian Heavy Draughts. 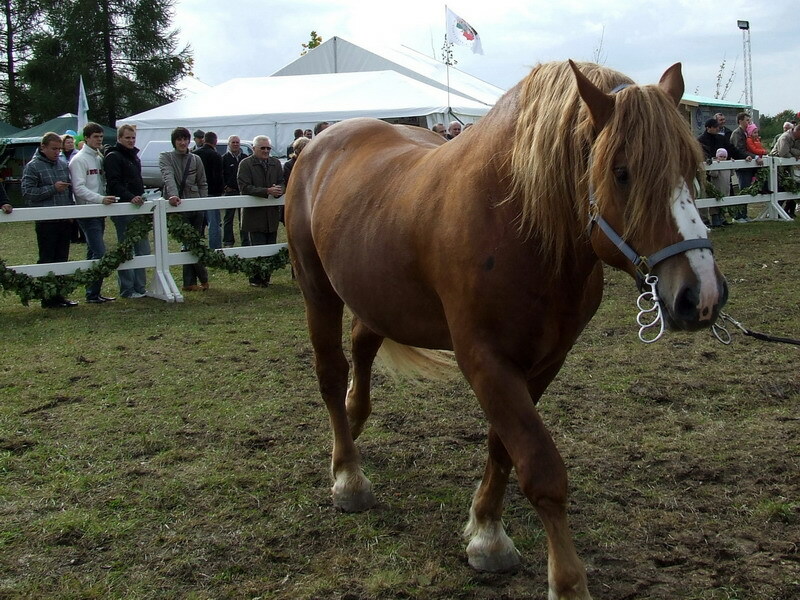 In the beginning, these draft horses were registered as Ardennes crossbreds. 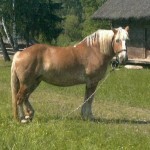 However, a herd book specific to the Lithuanian Heavy draught was issued in 1951. 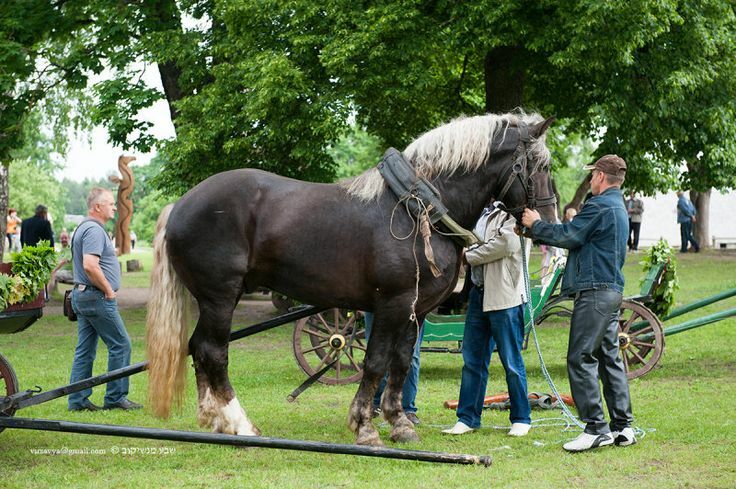 In 1964, around 62,000 Lithuanian Heavy Drafts were found in Lithuania. 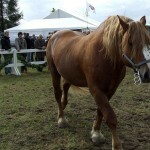 Today, their herd books are passed out by the Lithuanian Horse Breeders Association, which identify the purebred Lithuanian Draft horses based on their conformation, color, and markings. 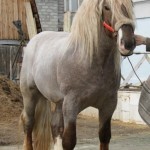 Unfortunately, the breed population has been decreasing rapidly due to both deteriorating breeding conditions and a decline in stallion numbers. 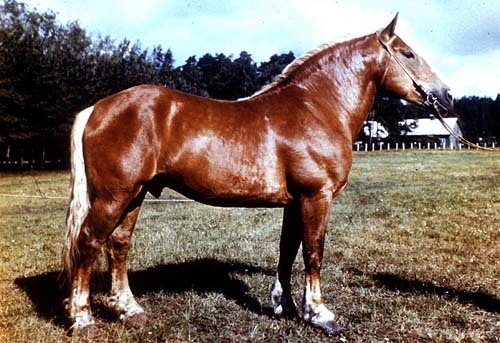 In 2003, there were about 1000 horses and the breed could go extinct soon.